Meowl-o-ween Happy Scenes and A Wicked Night! 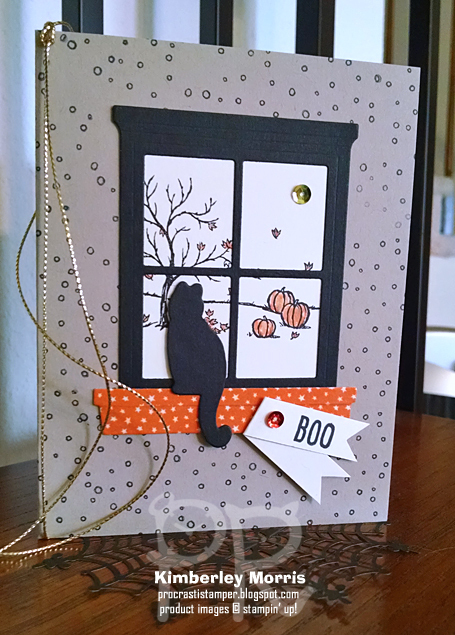 Stampin' Supplies for Meolw-o-ween Card: Happy Scenes stamp set + Hearth & Home Framelits (avail separately or as a BUNDLE at 15% Off! ), Festive Fireside Framelits (also available in a BUNDLE at 15% Off with Festive Fireplace stamp set), Basic Black Archival Ink Pad, Blender Pens + Tangelo Twist ink (to color window scene), Basic Black card stock, Crumb Cake card stock, Very Vanilla card stock, Happy Haunting Washi Tape (adhere to Vanilla card stock and cut out with mantle/windowsill framelit), Brights Sequin Assortment (1 yellow circle, 1 orange circle), Gold Cording Trim, Spider Doily for display accent. TIP: the kitty framelit has a little bump to accommodate the whiskers on the coordinating stamp, which may look odd if you cut out a silhouette with no stamped image...you can get a smoother outline by carefully trimming away that bump, as I have done on my card. 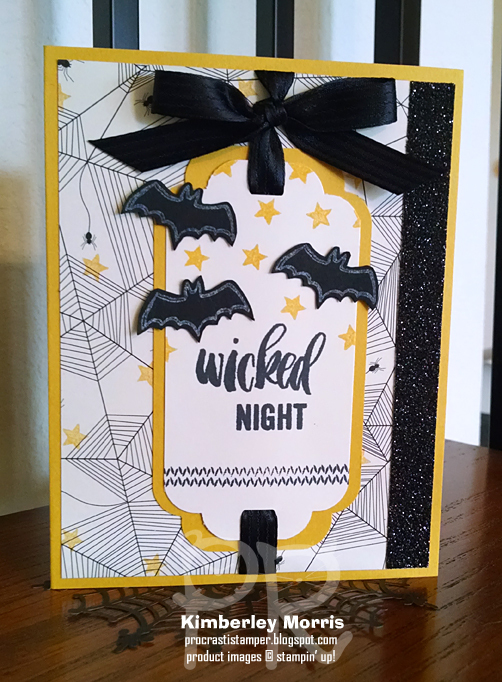 Stampin' Supplies for Wicked Night Card: Project Life Seasonal Snapshot 2015 stamp set, Hello Honey card stock and ink, Whisper White card stock, Basic Black card stock, Basic Black Archival ink pad, Craft White ink pad, Happy Haunting Designer Series Paper, Black Glimmer Paper, Black Stitched Satin Ribbon, Curvy Corner Trio Punch, Spider Doily for display accent. 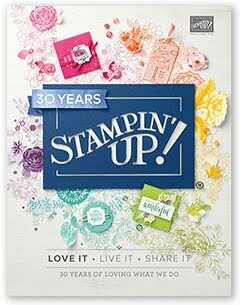 Don't be put off by the fact that Halloween is almost upon us...the stamps sets and framelits will take you through the rest of the holiday season with ease and creativity!